A trip to Lancaster doesn't usually land on any bucket lists for Philly locals, as it typically conjures images of farmland and the Amish. While there’s certainly plenty to back up those associations, the people of Lancaster would like to remind you that there's a lot to do in town outside of giving up your iPhone. In addition to dozens of creative avenues to explore the region’s history and Pennsylvania Dutch traditions, there are plenty of delicious foods to try, brews to sample, and performances to see. Drop your other Philly road trips, put aside those barn-raising plans, and take a look at your new Lancaster to-do list. 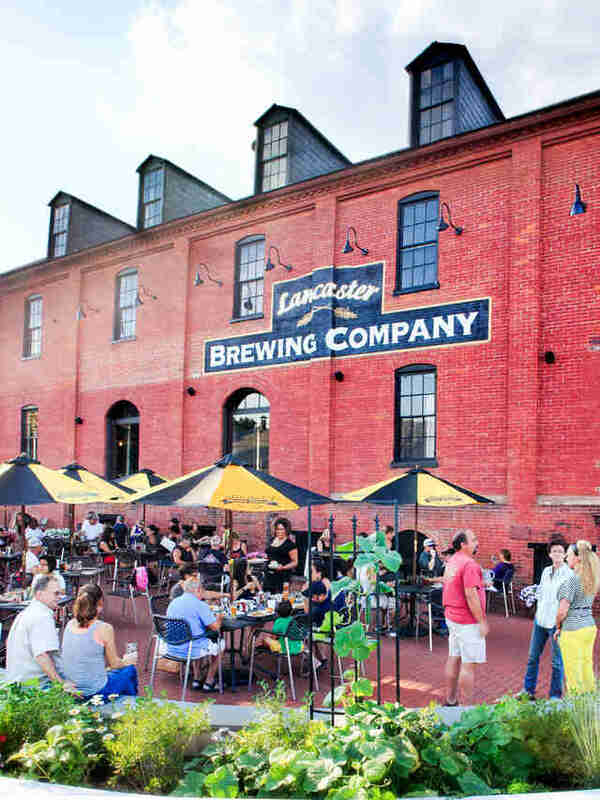 Lancaster Brewing Company is a salute to the region’s past brewing history, back when the region’s brews accounted for 7% of the total US output. Today the brewing company makes plenty of beers you may have had at Johnny Brenda’s or Fountain Porter, like the double chocolate milk stout and strawberry wheat. Try the brewery’s tap room for burgers, pizza, wings, and other beer-friendly eats. 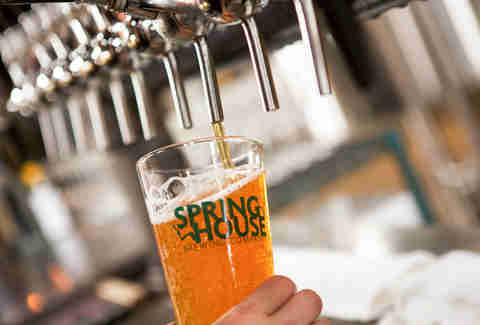 For ever-changing brewpub menus with creative names and unexpected kitsch, stop by Spring House Brewing Company, where you can expect six year-round brews and a helping of seasonal specialties, like the Planet Bean Coffee Stout and a ton of farmhouse saisons. You can make a mini-taphouse crawl out of it, since Spring House is walking distance from craft beer taproom Lancaster Dispensing Co (housed in a historical building operating since 1893) and Federal Taphouse, where you’ll find 100 craft beers on tap. You can also stop by the nearby Wacker Brewing for more locally crafted beers and events in the little dutch taproom. 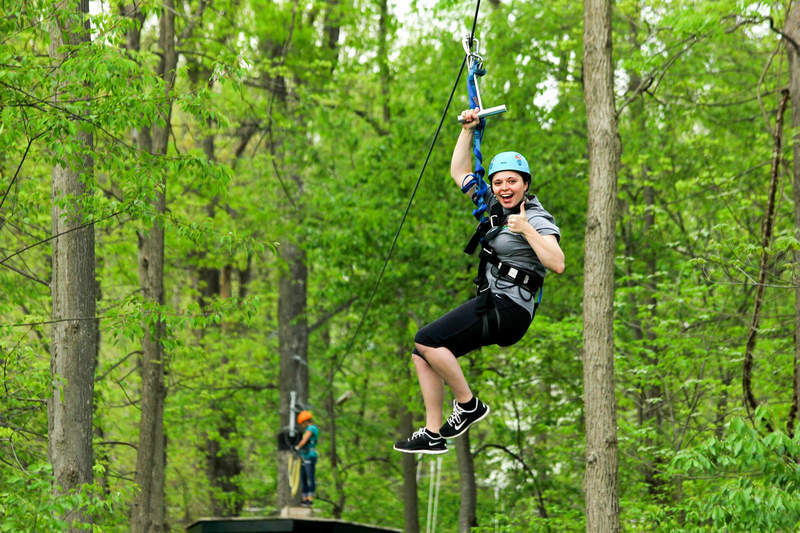 Once you have your plan of eating and drinking your way through Lancaster down, take in the sights with outdoor activities that'd be hard to come by for the average urban dweller, like ziplining at Refreshing Mountain Retreat, where ziplines range from 500 to 3,500 feet. You can also rent a cabin there to make a full weekend out of it. If a cabin isn’t piquing your interest, there are a couple other cool alternatives for staying in Lancaster besides traditional hotels. Opt for a farm bed & breakfast for a truly authentic whirl at Lancaster country living. 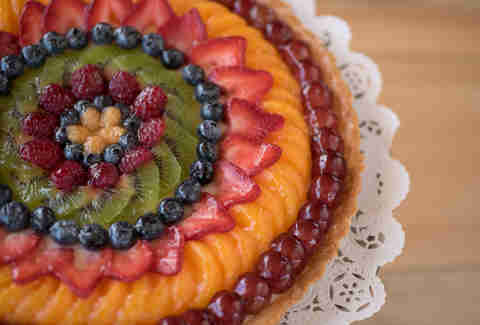 Equestrian Estates Horse Farm sits on 8 acres of land and offers an authentic Amish breakfast. If you'd prefer something more refined, try the Cork Factory Hotel, which sits in Downtown Lancaster in a renovated factory (of course), flooded with natural light and adorned with tons of exposed brick. 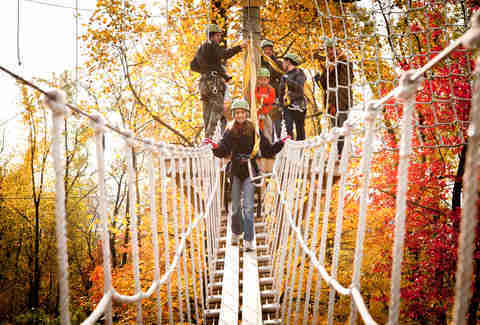 Or, if you’re feeling particularly adventurous, trying camping out at Old Mill Stream Campground. Head to the Lancaster Cigar Bar for a thoughtfully curated selection of Scotch, bourbon, whiskey, and craft beers to pair with one of 135 cigar blends, if you’re into that sort of thing. If you'd prefer jazz with your drink, the Belvedere Inn has live music every weekend night until 2am, along with an idyllic outdoor deck. Horse Inn also offers specialty cocktails, this time in an ultra-speakeasy setting, complete with an unmarked alleyway entrance. 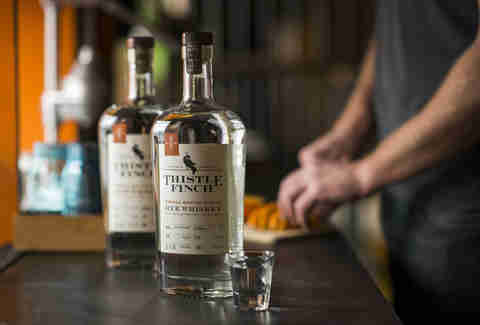 Finally, the Thistle Finch Distillery specializes in rye whiskey cocktails and offers intimate distillery tours on Saturdays and Sundays. 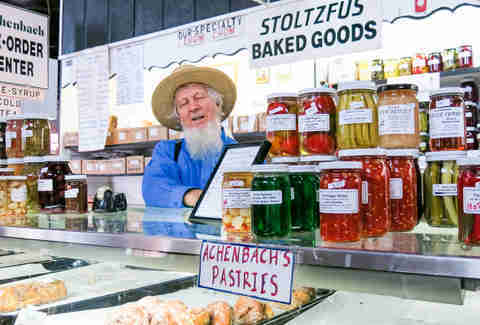 The Pennsylvania Dutch are no strangers to Philly-area farmers markets, so chances are you're already keyed into some of the original treats coming out of Lancaster. 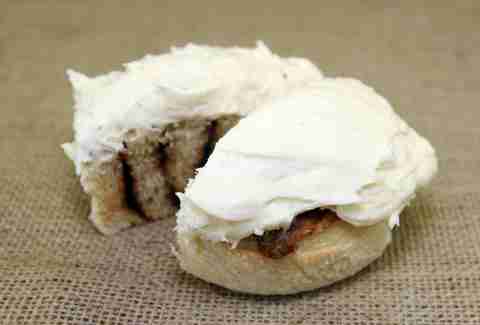 Head to Lancaster Central Market and explore one of the country's oldest farmer’s markets, which is sure to have satisfying amounts of authentic scrapple, head cheese, chow chow preserves, and, of course, the revered cake-and-cream whoopie pie. If whoopie pies alone won't satisfy your sweet tooth, check out King’s Kreamery: an Amish ice cream and dairy shop (meaning artisanal cheese is sold here too, yum) where you can get 10 different hand-dipped ice cream flavors served with pie. Not too far from here is Mr. Sticky’s, where the top menu items are all of the sticky bun variety (including one with peanut butter icing). If you’re on the lookout for a one-of-a-kind antique or just a quaint knickknack, Downtown Lancaster's packed with vintage and antique shops, including the bric-a-brac haven Hidden Treasures or vintage shop The Scarlet Willow, which has an in-house record shop. In winter and early spring you may also run into a Mud Sale, where you can auction for consigned items like furniture, crafts, and even a buggy or carriage. 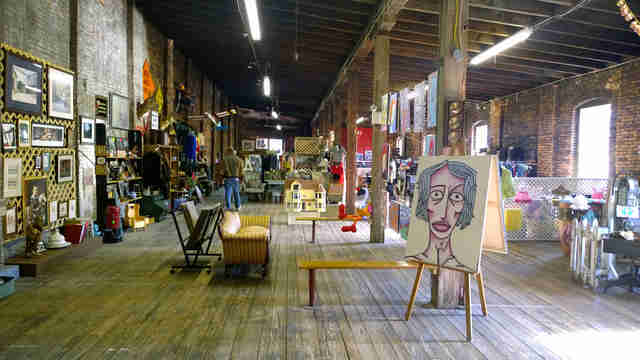 The 300 Block of North Queen Street is also home to an array of retro and antique shops, as well as art studios, cafes, and upscale shopping. Sometimes you need to give in to your deep-seated desire for designer things at a fraction of the cost, and for those moments there are the outlet malls. Rockvale Outlets includes all the usual shops like Pendleton, Pottery Barn, Levis, West Elm, but its brick buildings and outdoor walkways also make for a much more scenic shopping experience than you might be used to at King of Prussia. When all the shopping turns your stomach into a growling pit, head to Rachel’s Cafe & Creperie for (you guessed it) crepes served for breakfast, lunch, and dinner. Pair your sweet or savory crepes with a helping from the coffee bar; if you really want to be decadent we suggest the salted caramel Nutella mocha. For a more scaled back but no less effective coffee approach, Prince Street Cafe has a house-blend java that you can pair with coveted dark chocolate cream pies. 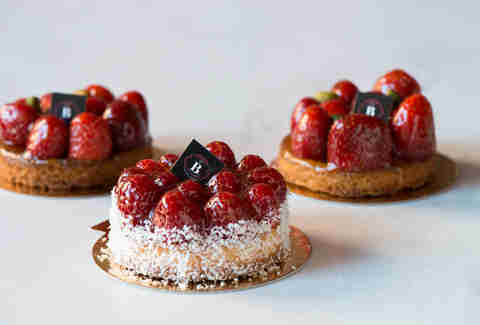 If snacking all day on PA Dutch goods and handmade desserts hasn’t completely spoiled your appetite, try Bistro Barberet, where you can score a three-course, $35 dinner of upscale French fare that includes items like fish soufflé, pork belly, crème brûlée, and (for a little extra) escargot. If you’re ready to hit the bar scene, a good first stop is Tellus360, an Irish pub that mixes craft beer with live music, DJ sets, and a rooftop bar. Otherwise, Aussie and the Fox offers Australian cuisine and pub fare (including one of the best burgers in Pennsylvania), while POUR offers upscale bar eats in a laid-back, modern setting. There are a number of local wineries to consider during your trip to Lancaster, such as Nissley Vineyards & Winery (not far at all from the outlets), where you can sample a number of unique fruit wines (think semi-sweet apple or country cherry) in addition to your traditional red, white, and blush wines. Artisanal wines at Thorn Hill Vineyards are from the original California boutique winery, finding a second home in Lancaster, where you can sample the wine with light bites and live music on Fridays. 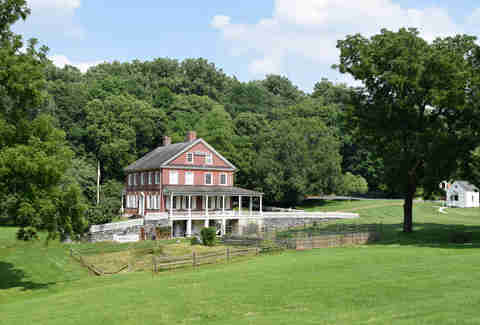 There are plenty of places to explore American history in Lancaster, but we suggest starting at Rock Ford Plantation for a scenic look at the 18th-century estate of Edward Hand, who served as adjutant general to G-dubs during the American Revolution. It’s also the most intact building in Lancaster that dates back to before 1800. Another interesting history stop is James Buchanan’s Wheatland; though usually listed as one of the worst presidents ever, he’s still the only one from PA, and a visit to his post-presidency home (he moved there in March 1861) is an insightful look into Pennsylvania during the Civil War. Though it's surprising to most outsiders, Lancaster has a bustling arts scene, including the acclaimed Gallery Row situated in the region’s Downtown area. 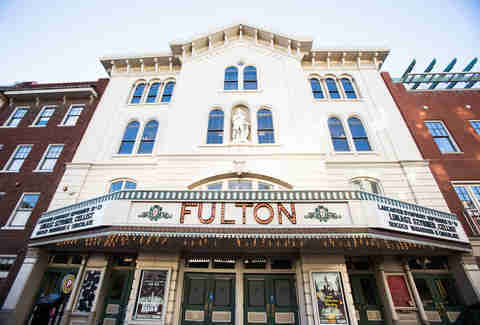 Two-story Artisans Gallery includes both regional and international artwork of mixed mediums, and Julia Swartz Fine Art Gallery, specializing in oil and watercolor paintings, is just across the street from Fulton Theatre, where you can catch popular musical productions year round. You can also catch touring broadway shows and musical acts at the American Music Theatre, as well as other large-scale performances at the Ware Center of Millersville University. Marielle Mondon is a writer from Philly currently dreaming of artisanal Amish cheese. Follow her @MarielleMondon on Twitter and Instagram.